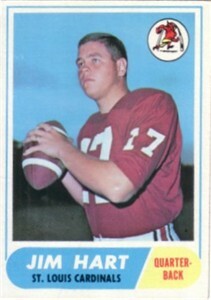 1968 Topps Rookie Card of former St. Louis Cardinals star quarterback Jim Hart (#60). ExMt condition. ONLY ONE AVAILABLE FOR SALE.